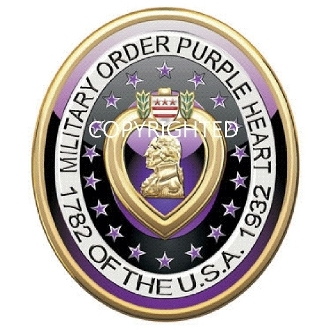 Our Military Order of the Purple Heart 3D National Logo Decal. Made on Full Color Printed Final UV Laminated with Front or back adhesive. Measures 4" x 3 1/2"